If you are a victim of a construction site accident in New York, we will fight for you. New York has complex laws that govern construction site accidents. You need to consult with lawyers that have the experience with these types of cases. Construction sites are dangerous places. Safety is extremely important and is often overlooked by those who are in charge of the construction site. When safety is overlooked, accidents happen. Accidents that many times result in devastating and life changing injuries. These injuries may lead to long absences from work or possibly result in not being able to work at all. 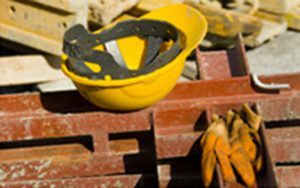 Some types of construction site injuries include spinal cord injuries, amputations, fractures, internal injuries, nerve damage, burn and electric shock injuries, eye injuries, loss of hearing, back and neck injuries and scarring. We have represented construction workers of many types including, roofers, plumbers, electricians, iron and metal workers, carpenters, painters, asbestos workers, and laborers. This experience allows us to help victims of construction site accidents like you. Experience that ranges from scaffolding or ladder accidents, other falls from heights, electrocution, crane accidents, accidents involving machinery, and accidents due to unsafe debris at a construction site. We will help you and your family understand what your legal rights are and help you get the financial compensation you deserve for NY Construction Site Accidents Lawyer needed from the experienced entity in New York the Alonso Krangle LLP . Call us today.